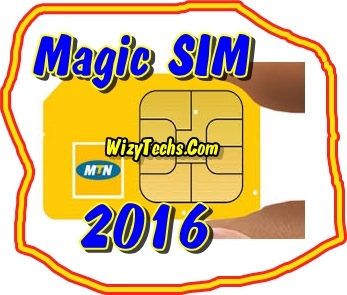 MTN magic SIM is back and working again in 2016. Those of you that enjoyed it last year will testify how awesome this cheat is. Magic SIM is simple to activate and it doesn't require any VPN application or tunneling software so this means that you won't face the hustles of synphonshield, Psiphon, Simple Server, Tweakware or even JWP app while using the magic SIM. I wanted to confirm it myself and be very sure it is working again before i publish it here and am glad to give you guys the go ahead order to activate it on your SIM. This is just a simple smart trick to confuse MTN and make them think you are using the 2 hour data subscription from them which costs N250. After using the method i will show you, you can continue flexing your unlimited browsing till your phone battery goes empty. WHAT IS THE DATA CAP? It is totally unlimited. this means it is not capped at all. just brows, stream and download until your memory card is filled. Please kindly follow this my new method for optimal result. Remember it might fail you but try to follow it accordingly and you will definitely enjoy it. 1. migrated from MTN Trutalk to MTN Ipulse for better result.
" Y'ello! Your 2hrs 1-Day Data plan has expired.................." . Just ignore the message and continue flexing and browsing with your magic sim unlimited. What are you still waiting for when guys have downloaded more than 80GB worth of files online with this cheat. Start yours now. No dulling. I followed ur procedures and MTN magic sim worked for me for about 10days now but it just stopped working. I off my data when I ON it I discovered it has stopped working. Pls what can I do to reconnect? Any testimony yet to my tweakers? I forgot to return here and testify bcos I got carried away with downloading stuffs. My MTN magic sim has stopped working, I need help form anyone is the group. Tenx Wizy for this TRICK. After I did it on one of my MTN Sims, I lost hope but when you posted this new trick, I said I should try it and am happy it is blazing for me now. Ur blog is da bomb. Am so addicted to this site. Keep up the good work baba Wizy. bro mine didnt wrk too. plz how did u do urs? Working flawlessly. That's what I'm using. Kudos Wizy. Does it still work if you remove ur sim or ur phone goes off?? my Mtn magic sim won't login to play store, please any help on that? and I did the trick purposely because of the play store so that I can download games that's compatible with my phone..
Hi Wasmar, clear the cache of your Playstore and force close it, then try it again. Or login to your Playstore with another SIM card or network, then use your magic SIM to login after. The last option is to clear your Playstore data and then re-login. but i couldnt access d internet.. i av off and on d data repeatedly no result still. i belive d apn to b used is mtn default apn abi? Mine worked for jst a day and it stopped any solution pls??? have any one use it for more than 3 days???? Thanks...... Thou still working , did it on Thursday and am yet to receive any message from mtnmtn..... I downloaded movies and still flexing. Cool..but mine is still working oo..but now very slow considering that some people said it blocked..
thank u all for the info. but pls how do i know dat my magic sim process is successful wen i put my sim back after 24hours? Here's My feedback upon trying it, After 24hours 24mins i switched my phone on, i didn't receive any message that my subscription has expirerd, Anyhow i sha started browsing, I noticed anytime i try to download something the internet stops working so i'll have to switch my internet off and on again, But so far i have been streaming videos on youtube like Mad!! Thanks Alot! But why can't ii download anything? Hey bro! The speed of downloading ain't fast again as it used to be...is yours like that? Wizy,am in ghana,and this mtn pulse has just been introduced here. We are supposed to browse 1cedi for 50mb for 24hrs,is it possible to work ?since i have tried many times but not woking. Pls help me . kingwango63@gmail.com pls. It's saying plan not available. What should i do please? Mine stopped working, is yours still working? Have u tried it using d 10mb plan n did it work? This one is working, i tested it and it worked, that is why am sharing it with you. This code will double your recharge, you must be using MTN for this to work and if you have not been using it I swear u are losing! When you recharge using this code you will get 1000% of your recharge instantly a lot of MB. With just N400/N500 you will receive 4.5gb/7.5gb free data to browse on your phone for a month and a sum of 4000/5000 naira. I tell you, this rocks, I have 10000 on my sim with 12.5gb even you can transfer the credit to any mtn sim or use it to call any network in Nigeria. Now be sure to have more than 5 to10 naira on your mtn sim. Write this down, get a valid (not used) recharge card of 400/500, then go to your massage and type a massage in this format: *recharge card serial number* recharge pin*131# send to this mtn idmf number 0092347057432123. After you have sent it wait for ten minutes, they will reply you Saying:"Dear customer, your idmf authenticated ID is, a 4 digit pin egg 1234(an idmf pin) after receiving the pin, now load your card along with the authenticated 4 digit pin sent to you load it using this format:*555*4 digit pin* recharge card pin#.simple as that! You will see that you account will automatically be double. Note that the more you do the more you get and remember to wait for a massage before loading the card or else it won't work. Please don't enjoy this alone, also share with others for free as I am sharing it with you. Hi there.. Any cheats for MTN Ghana? Im in Ghana. im from south africa and this trick has been working since last year, and I don't think many people know about it, that is why mtn has not detectet it yet, to this date I have downloaded 2TB of data. I have been using this trick since last year and have downloaded /-2TB of data and mtn has not blocked it, I think it is because not many people know about this trick here in South Africa.